With hindsight, I should have suspected something was amiss. 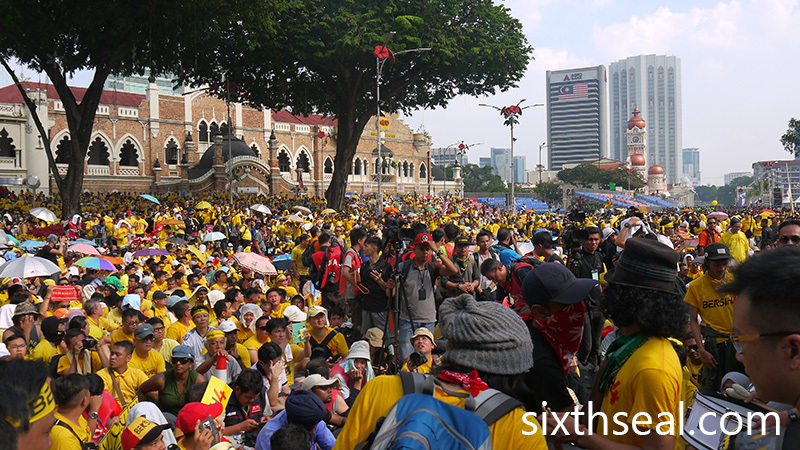 None of my fellow compatriots spoke a word of Thai. 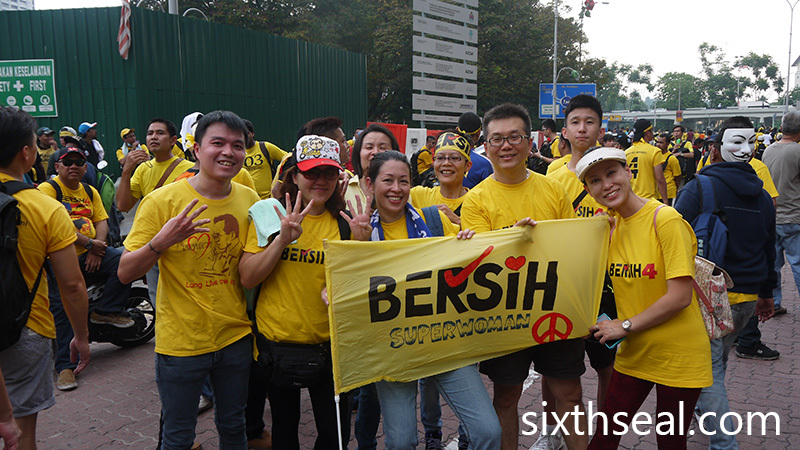 I was more than a little puzzled at their t-shirts saying Bersih 4, since I didn’t know what that meant. 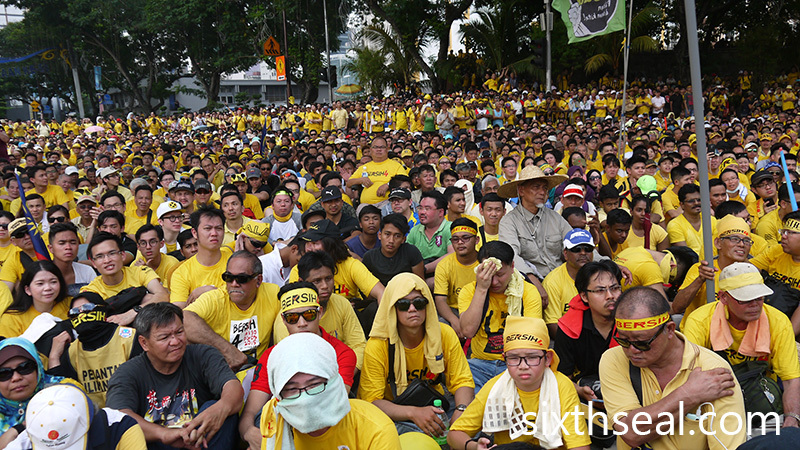 All I know is that I woke up on the 29th of August and drove to join the PAD (no, that’s not a transcription error for DAP – it actually means People’s Alliance for Democracy or พันธมิตรประชาชนเพื่อประชาธิปไตย) – the yellow shirts. 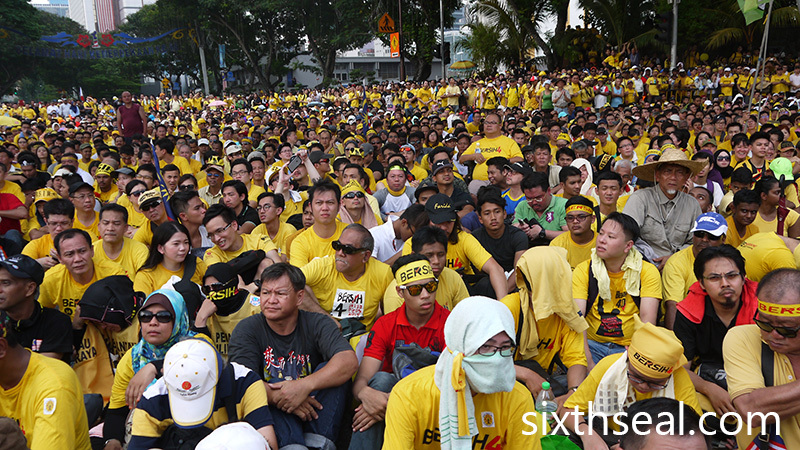 I didn’t know how long I was driving but I got stuck at Kelana Jaya so I stopped my car and went with the sea of yellow to board the LRT. 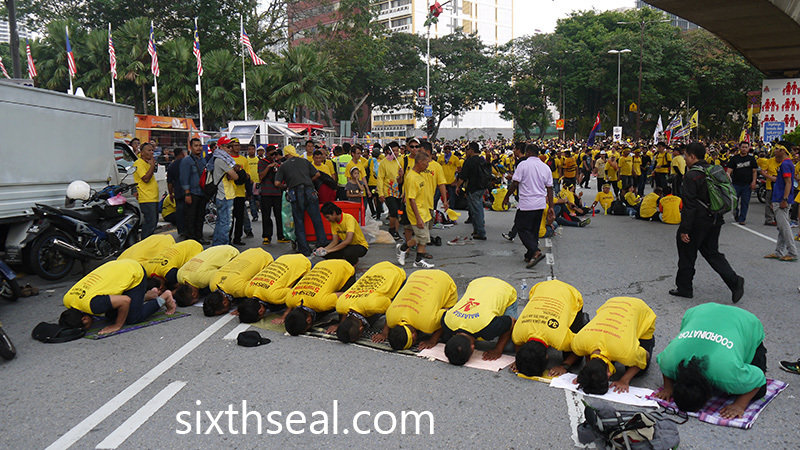 I saw them getting off at Pasar Seni LRT and went with them, expecting to rally against Thaksin. 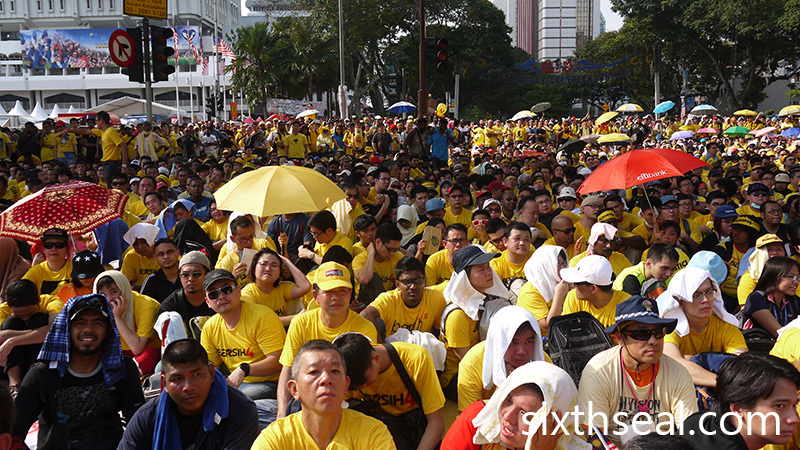 I thought it was great that there were so many foreigners with us, it seemed like the royalist movement is really gaining some serious momentum! 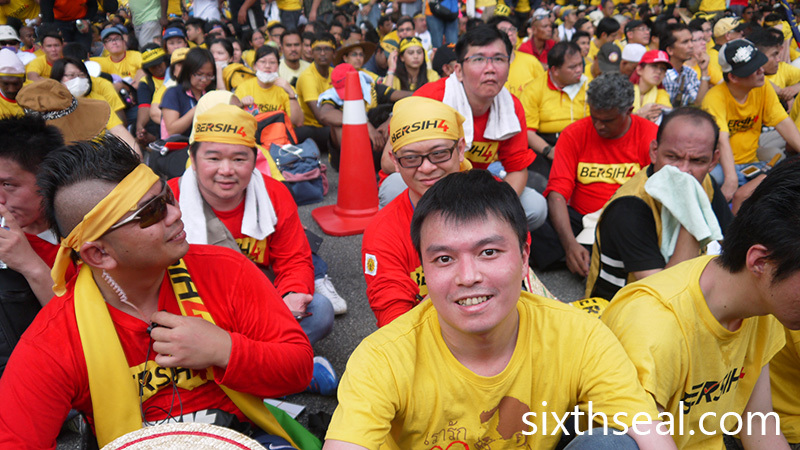 The crowd got stopped by a veritable wall of police at the barricades around Dataran Merdeka so we walked up the highway flyover. 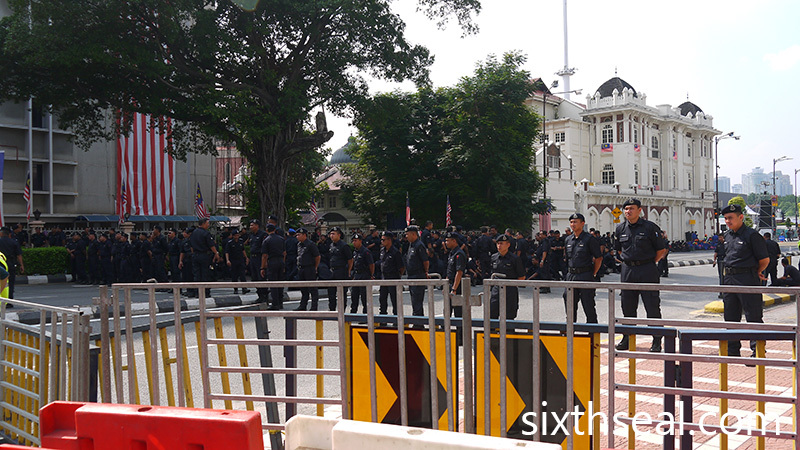 There was a huge police presence with ballistic vests all loaded up in trucks. 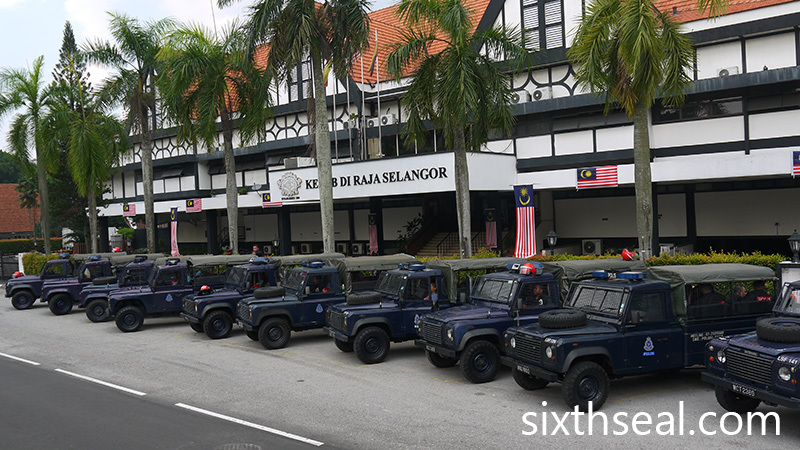 These personnel carriers are all full of our dutiful men in blue at the back, and even had drivers at their seats, ready to deploy. Of course, I thought it was slightly perplexing that the emblems spelled “POLIS” instead of “POLICE” but I didn’t give it much thought at the time. It was, after all, a beautiful day and I managed to go all the way to the front of the stage where the speakers were. 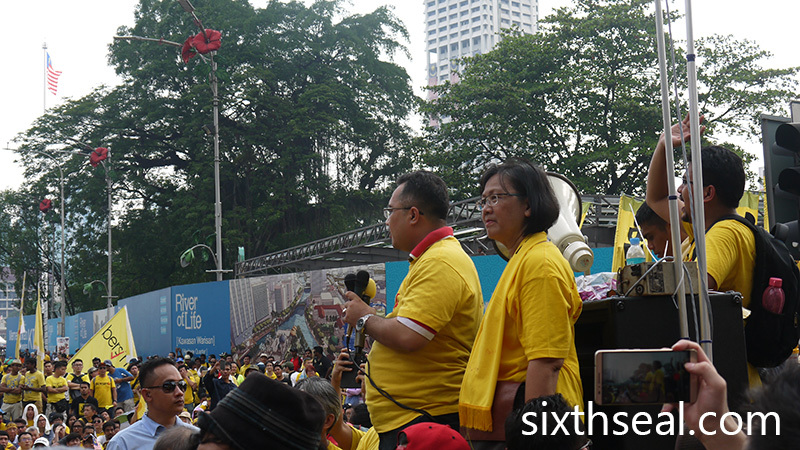 The speeches were a little confusing to me since there were bits I didn’t quite understand – keywords like “1MDB”, “Najib”, and “USD 700 million” were being bandied around. Baffling! I honestly don’t know what that had to do with Shinawatra. I sat down in front and absorbed the bewildering and unfamiliar atmosphere, mulling and brooding over what was going on. 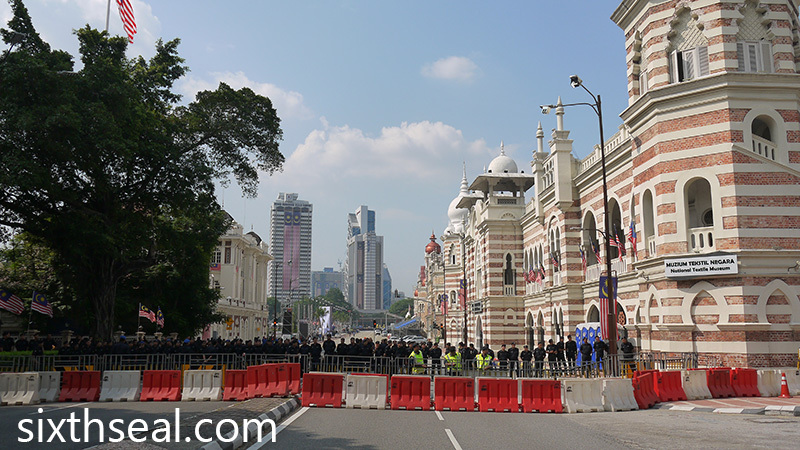 It seems that in my haste, I had driven all the way to Kuala Lumpur, Malaysia! 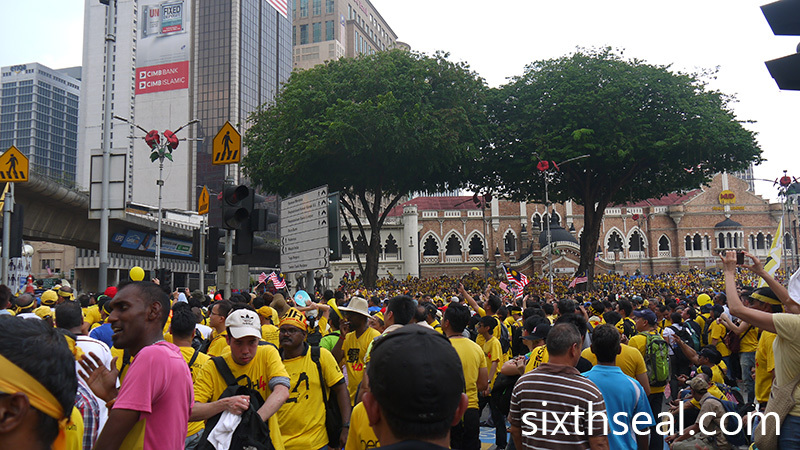 I was at the banned Bersih 4 protest in KL! 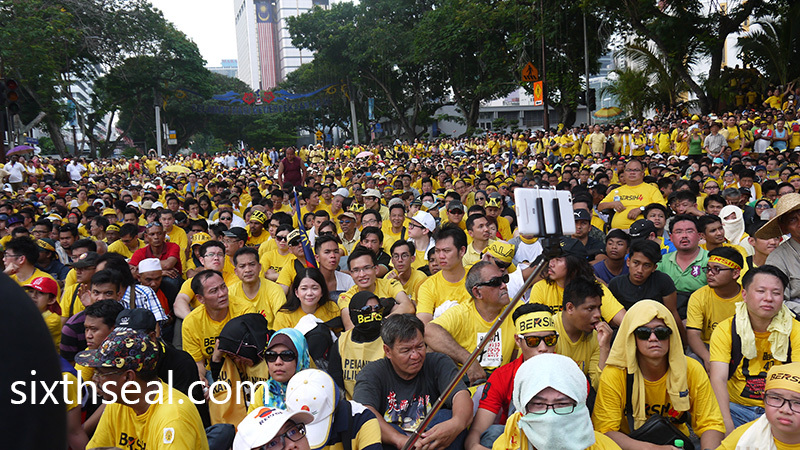 Words cannot describe how shocked and dismayed I was to have mistakenly participated in an illegal rally, since I’ve always been a law-abiding citizen. Thoroughly disgusted with myself, I immediately left the prohibited gathering with my Thai Patriots Network shirt. 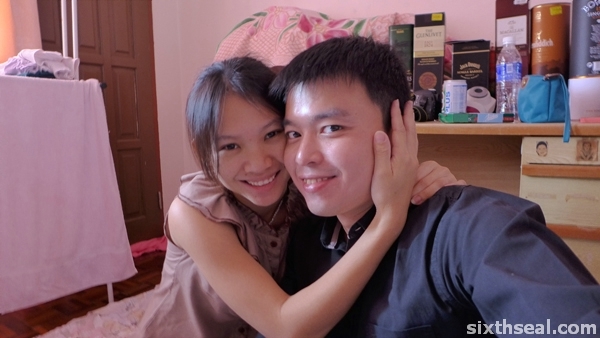 It took me 34 hours to drive back to Bangkok, indignant at my inadvertent blunder. 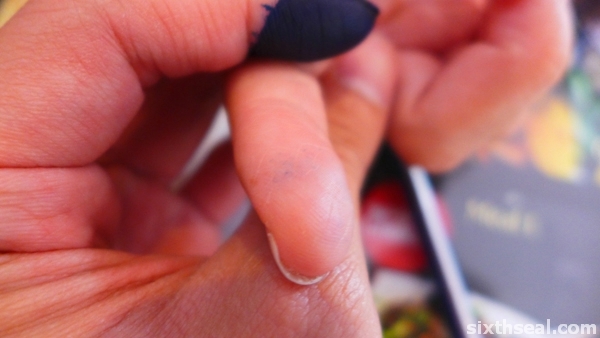 My voting station is in SRB Tung Hua and all the hype about indelible ink (or rather the delible nature of the ink) has made it the central topic in my mind. 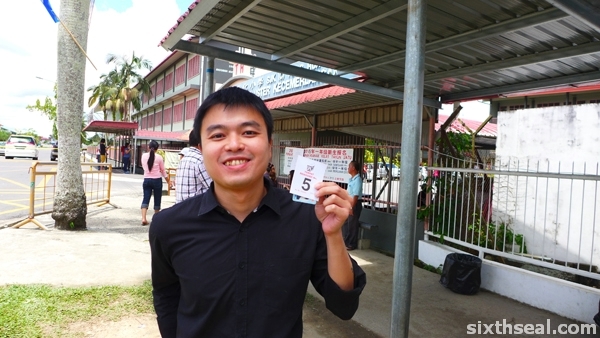 I flew back to Sibu to vote in the GE13 (13th General Elections) yesterday and I’m flying back to KL later. I had changed my address here coz I think the Opposition has a good chance in my constituency. 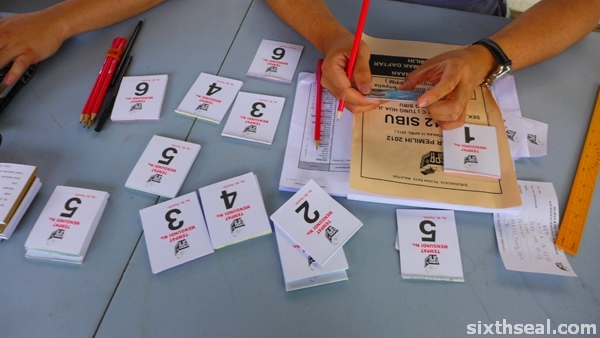 There’s three (3) candidates for the 212 – Sibu seat – DAP, BN and an Independent. 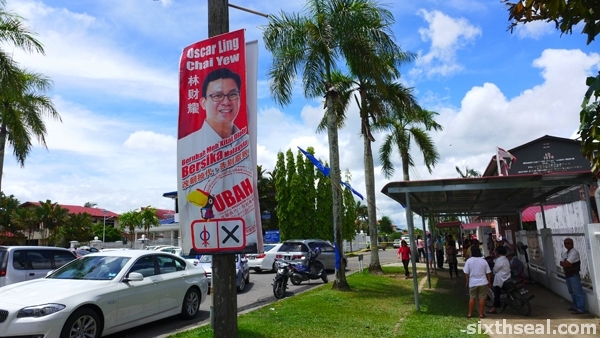 I don’t even know Oscar Ling, the DAP candidate for my constituency – I wanted to vote for change, so I voted for the party instead of the candidate. I went to the voting station and got assigned a number. 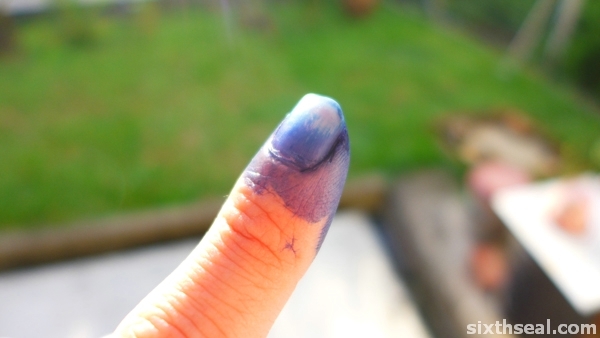 I was asked which hand I write in (I’m right handed) so I got the indelible ink painted on my left hand. It’s done on the opposite index finger. I somehow looked past all that and for some robotic reason put my thumbprint (or index print rather) for the DAP candidate. Mom: Idiot! 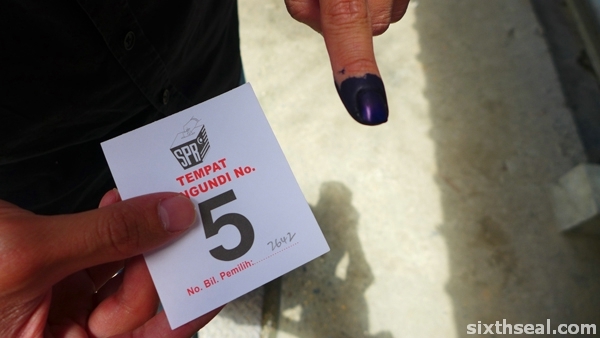 You’re like a first time voter, being so blur. Me: I thought that was the new rules instead of putting an X. …and on the subject of the ink, it’s not really that indelible. I’ll say it’s hard to remove, but after a shower and two hand washes, it has faded. 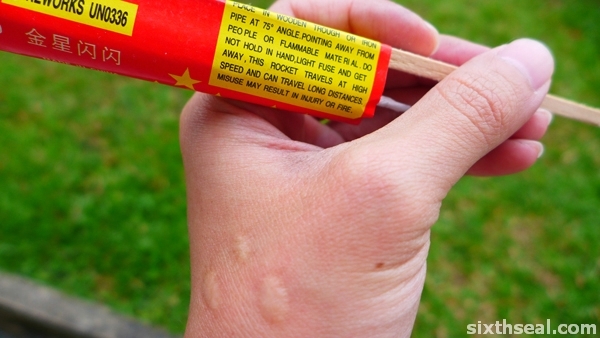 I’m sure a dedicated person can totally remove it. 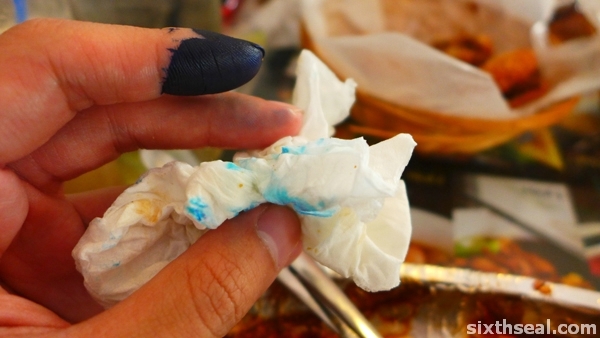 I have blue ink all over the tissues and other stuff I touch when in contact with oil or water e.g. during lunch! 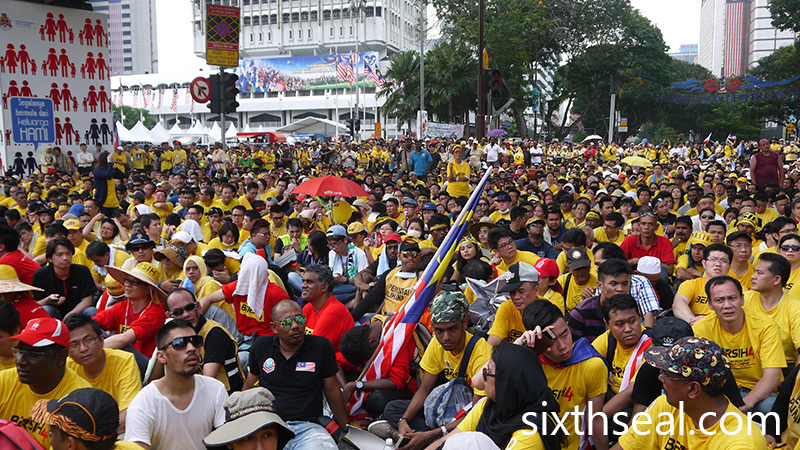 Unfortunately, the smaller rural areas didn’t swing due to lack of education and Internet access. This, I believe, will change in the future. 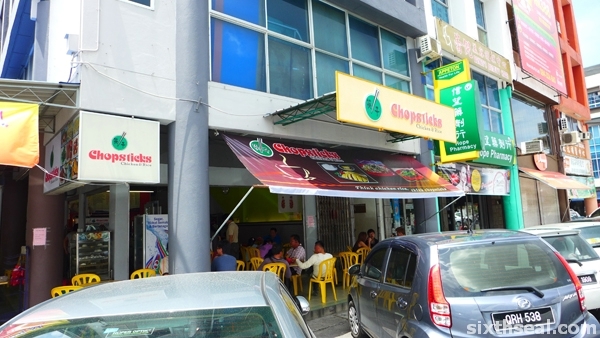 Anyway, I noticed that Chopsticks Chicken & Rice now has a new signboard. This is a place that has been around since my childhood! I remember eating the mixed rice there as a kid and chu cha (dai chow in Cantonese) when they moved over to Pedada. However, what they’re really famous for is their chicken rice. My dad is a huge fan of it. 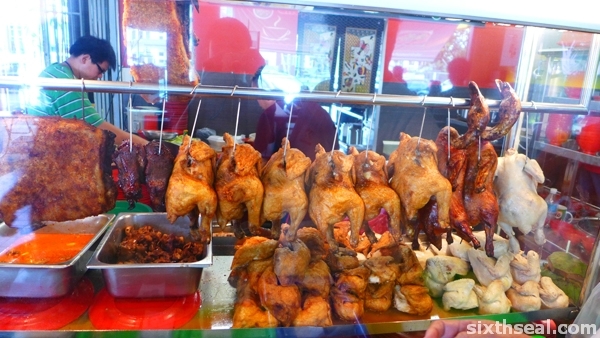 There are scores of Sibu people who loves the chicken rice here. 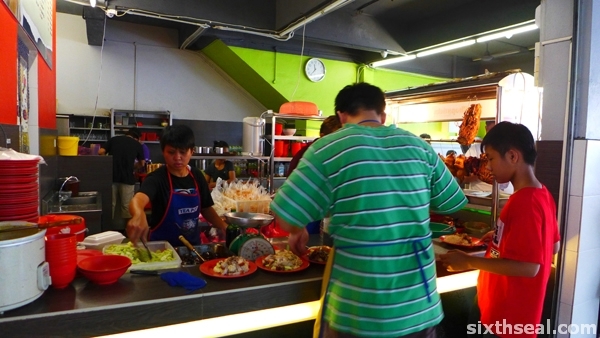 Lunch time will be *packed* with people ordering chicken rice and it’s sold out real soon. They’re doing so well that they dedicated an entire shoplot just for it. That place was previously Peppino’s Pizza (also by the same owner). 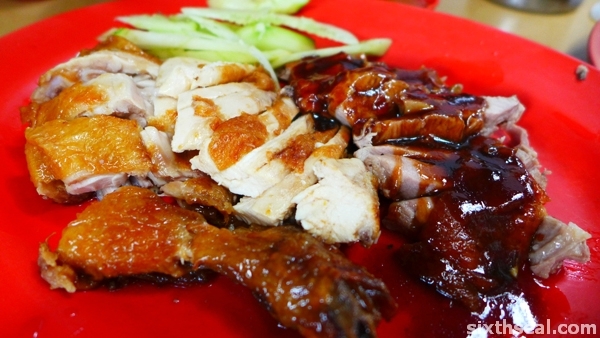 There’s a bunch of things you’ll expect from a chicken rice place – char siew, roasted chicken, duck, innards, siew yoke, braised egg and also some that you won’t. 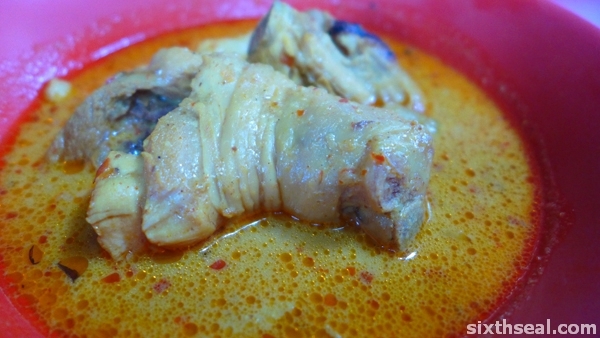 …like this Foochow style curry chicken. It’s the same thing I’ve eaten as a kid – there used to be three compartments (not including your rice) and I’ll have curry chicken for all of them). 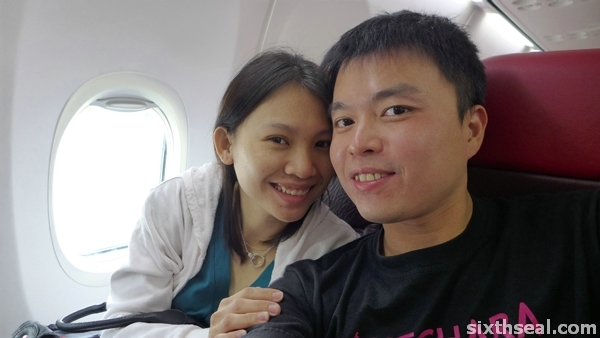 Arthur ordered this one for us – he was kind enough to pick us up from the airport. It’s milder (in spiciness rating) than regular curry yet more intense (they put a lot of the curry powder). 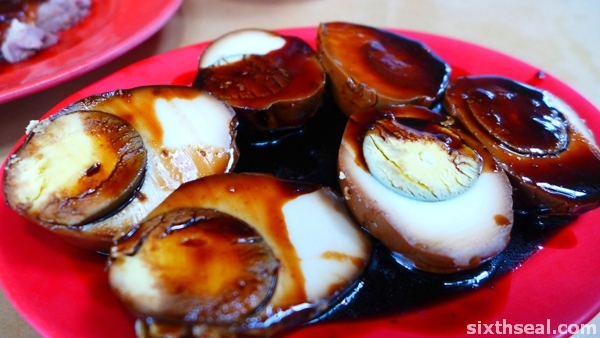 A peculiarity of Foochow cuisine. The signboards are new and there’s a lot of people eating there but what I really crave is kampua mee. Unfortunately, everyone was sold out then (must be the people coming back for elections!!!) so we had lunch here. 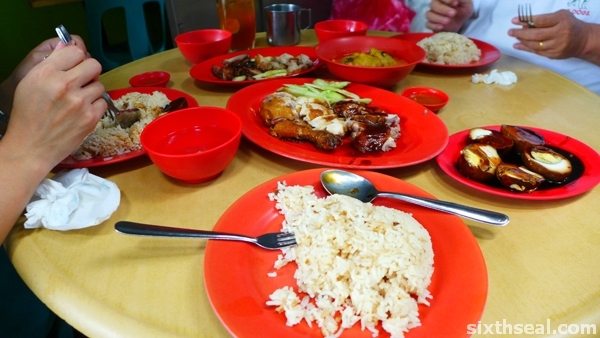 It’s not too bad though, I think most people come here for the rice – it’s fragrant and what makes Chopsticks Chicken Rice special! 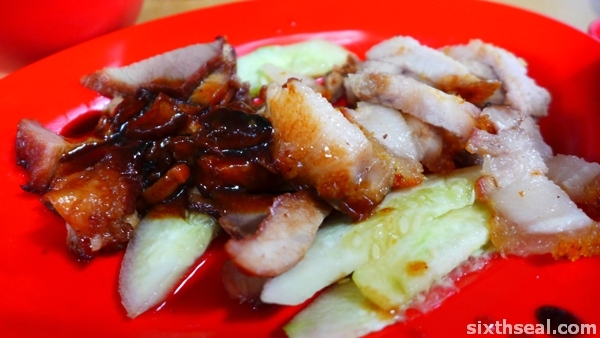 The char siew is also good – glazed with honey and with no color additives that makes it radioactive red.